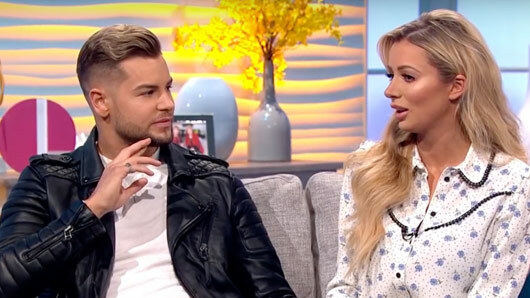 Love Island stars Chris Hughes and Olivia Attwood have hit back at fake relationship claims. The reality show couple appeared on ITV’s Lorraine this morning to promote their new show Crackin’ On. However, the pair began the interview by setting the record straight about their relationship. With rumours flying around that the Love Island contestants have been putting it all on for the cameras, host Lorraine Kelly asked if their relationship really is the real deal. Liv replied: “I feel like we wouldn’t be doing this if it wasn’t real. Lorraine also asked the lovebirds if they would ever attempt any other reality television shows in the future. Olivia said: “I think we both said the jungle would be amazing, didn’t we? Lorraine continues weekdays at 8.30am at ITV.